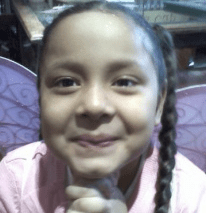 Bronx Community Board 8 delayed a decision on whether to approve a play street application from the school where a motorist killed 8-year-old Rylee Ramos, when people complained that a play street at a different school would interfere with their driving. When motorists complained, Bronx CB 8 postponed a decision on a play street application from the school where Rylee Ramos was killed by a curb-jumping driver. The Riverdale Press reports that the 50th Precinct has joined P.S. 307, Horace Mann School, and St. Margaret’s of Cortona in requesting that CB 8 sign off on opening street space to kids during school days. The schools already cordon streets for children, but they want to make it official, which NYPD says is important in the event of a crash. “By formalizing this process and enforcing it, responsibility for an accident would land squarely on the shoulders of the driver,” Deputy Inspector Terence O’Toole, commanding officer of the 50th Precinct, told the Press. In 2014 a motorist backed onto the sidewalk on Eames Place outside P.S. 307 in Kingsbridge Heights, striking 10 people and killing Ramos. Since then, according to the Press, the 50th Precinct has positioned barricades to keep motorists off the street at drop-off and dismissal times. While Horace Mann and St. Margaret’s are applying for drop-off and dismissal play street hours, P.S. 307, which doesn’t have a playground, wants to keep one block of Eames Place open to children for the entire school day. DOT requires that school play street applications be endorsed by the local precinct and community board, and the committee chose to postpone a vote on all three requests until September. “The panel said the delay would allow more time for the community to discuss the issue,” the Press reported. Despite entreaties from NYPD and school officials, disgruntled motorists carried the day. Nochimson and her husband Richard said allowing Horace Mann students the use of part of Tibett Avenue for two hours during school days would mess up deliveries and keep people from driving to and from residences. But Mr. Nochimson said there is no need to restrict traffic. The “danger comes from the [school] buses” that drive too fast down the street, he said, adding that in a typical hour, only two or three cars pass through the street. O’Toole told the Press the approval process could have been completed in time for fall, but because of the delay it will likely be January before that happens, assuming CB 8 approves the applications in October. Unbelievable. It’s high time we got community boards out of transportation issues altogether. They’re seldom representative of their community at large. I agree 100%. I live in the Bx CB10 area and every time the issue of making roads safer comes up, they always side with driver convenience over safety. Excellent! People win, zealots lose! Yeah, when these streets are eventually turned over to children, officially, that’s exactly right. Reckless driving persists near a Kingsbridge Heights school more than two years after a motorist killed third-grader Rylee Ramos.